We´re in the process of discussing a new kitchen, a subject that is constantly of current interest. 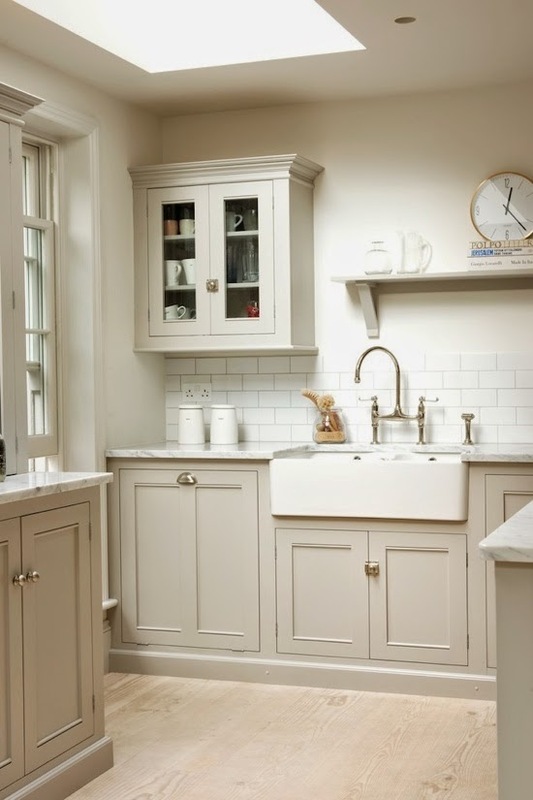 How convenient that I got photos of this gorgeous kitchen from deVOLs classic English range, ticking many details that I love. 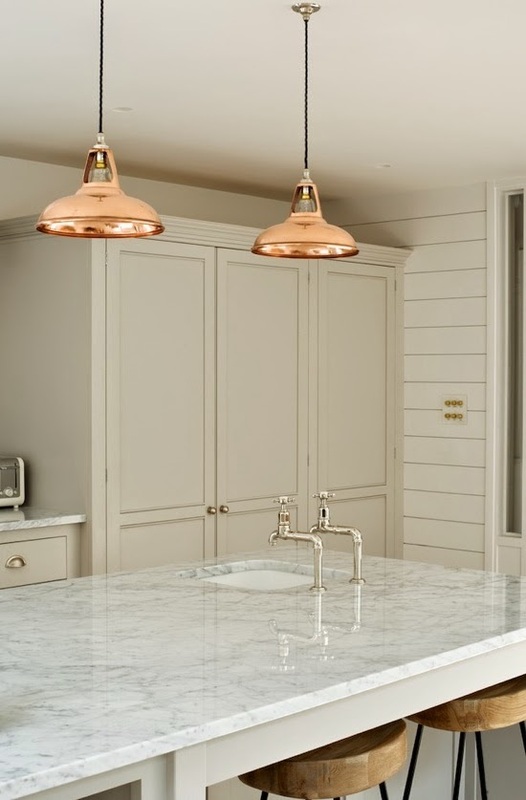 The Carrara marble island in the middle is a dream. 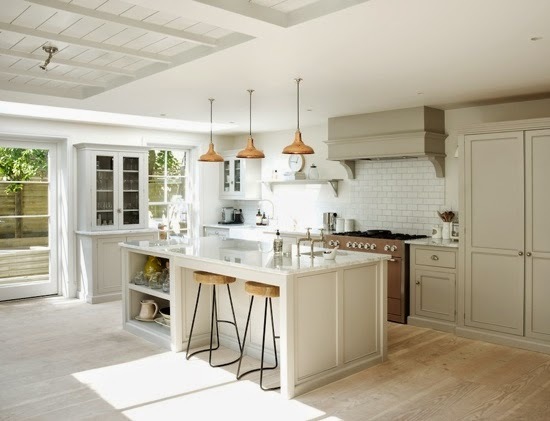 I also love the cupboard colour called "Pavillion grey" and its open space and ambience in general. 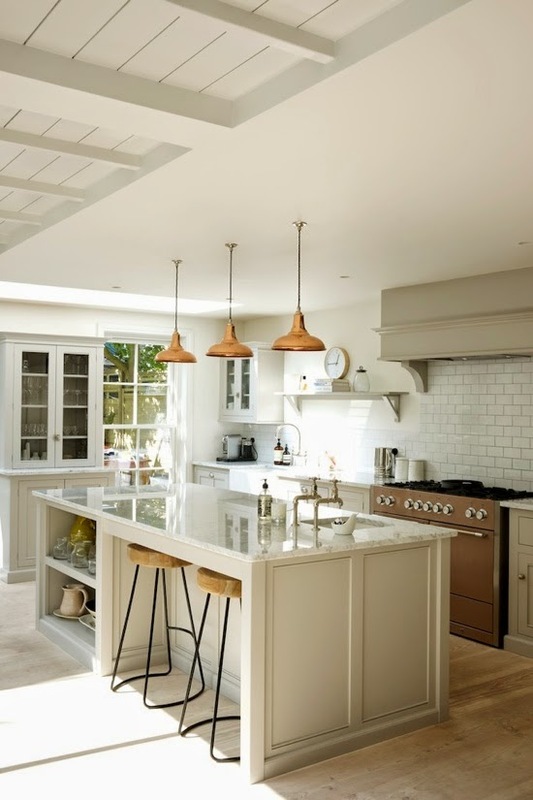 Love this kitchen esp the white cabinets! what kind of floors are these?